Make a statement at your bar, pub, or restaurant with this GET SW-1419-BK black 48 oz. super martini glass. 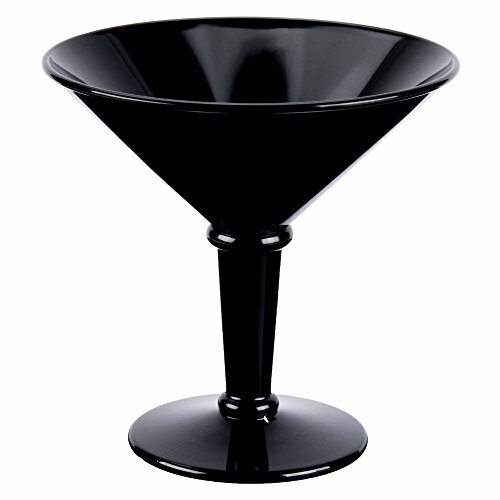 This super martini glass is made of strong and durable SAN plastic that's break-resistant, so you don't have to worry about breakage or constantly replacing your glassware. Its black color gives it a sleek and elegant look. Make a statement at your bar, pub, or restaurant with this GET SW-1419-BK black 48 oz. super martini glass. Its black color gives it a sleek and elegant look. If you have any questions about this product by GET SW, contact us by completing and submitting the form below. If you are looking for a specif part number, please include it with your message.